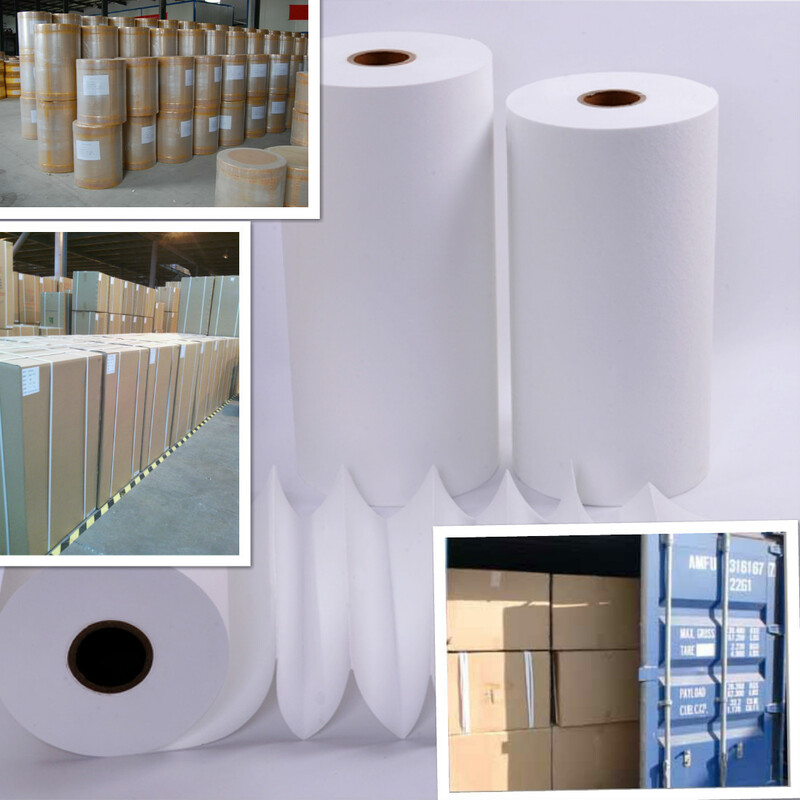 Hebei Fangyu Trade Co., Ltd.
Fiberglass Air Filter Paper are comprised primarily of glass microfibers and are produced with a wet laid process similar to those used for the production of paper. Our offers range from various ASHRAE grades (F6-F9), HEPA grades (H10-H14) to ULPA grades (U15-U17) with exceptional dust holding performance and providing the highest available efficiency at a minimal resistance to air flow. 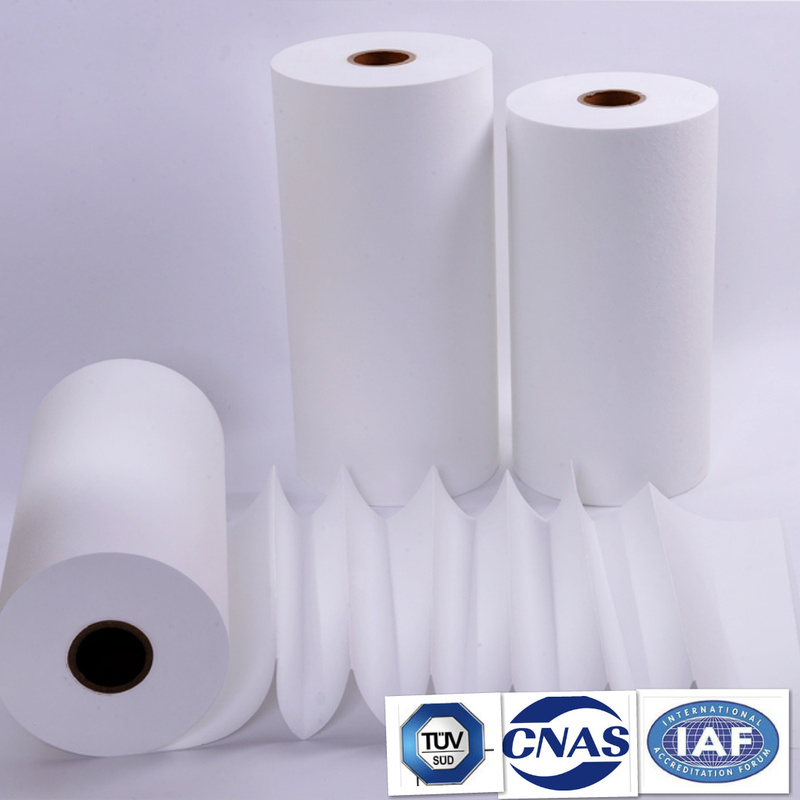 Air Filter Paper of high efficiency and low resistance is made of best quality raw material such as PP, fiberglass, PET, PTFE and other polyester compounded materials. 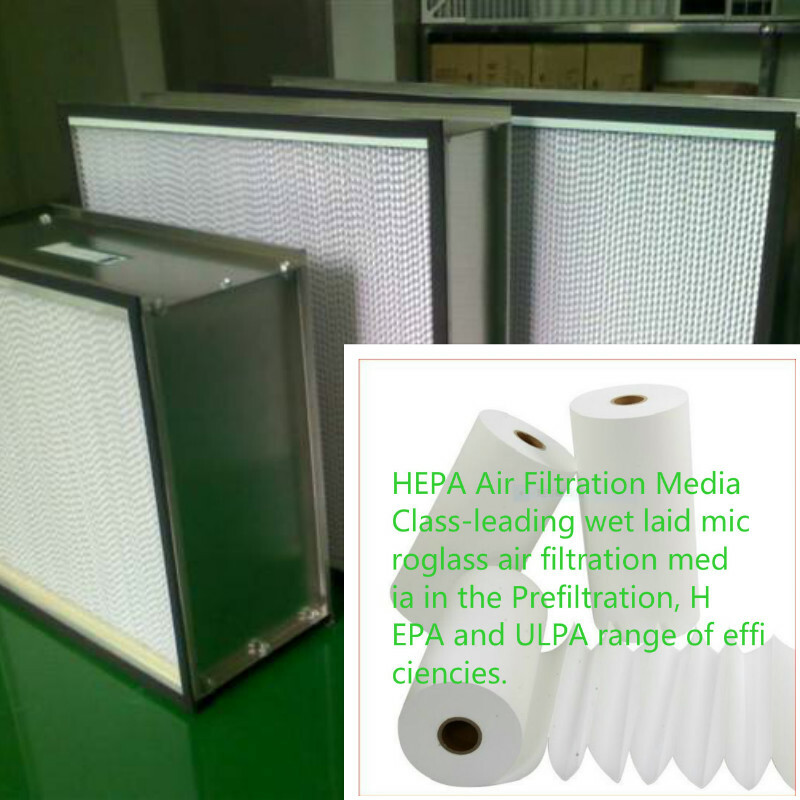 It is widely used for mini pleated HEPA filters. This air filter paper media is made of glass microfibers as main raw material by wet process. Characterized by uniform fiber distribution, low air resistance, high filtration efficiency, high dust holding capacity, high strength and stable properties. It is an ideal material for air filtration. The products are divided into two types: min-pleat air filter paper and deep-pleat air filter paper, and they have three series: ASHRAE, HEPA and ULPA. This filter paper is the main materials of air filters. The air filters can be used for air filters of air-conditioning systems in medicine, electronics, food, textile industries and high-grade office/entertainment industries, etc. ASHRAE:for common air-conditioning systems, gas turbines and air compressors. 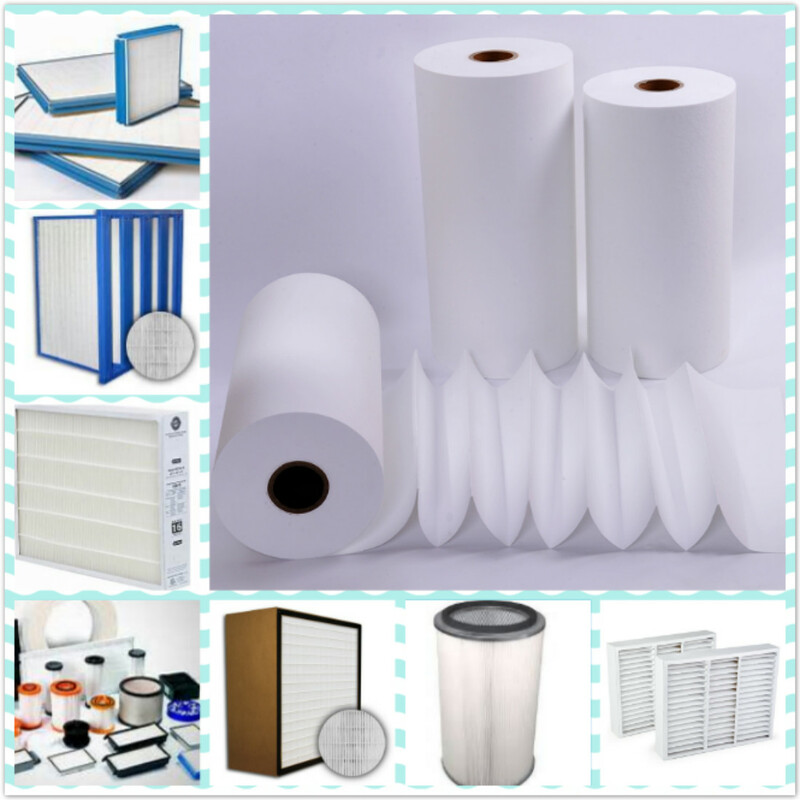 Looking for ideal Air Purifier ULPA Filter Paper Manufacturer & supplier ? We have a wide selection at great prices to help you get creative. All the Air Purifier ULPA Filter Media are quality guaranteed. We are China Origin Factory of U15 Filter Paper. If you have any question, please feel free to contact us. Copyright © 2019 Hebei Fangyu Trade Co., Ltd. All rights reserved.